The Harman Absolute63 Pellet Stove offers remarkable performance, stylish design, along with the most sophisticated temperature control system on the market. It is loaded with premium features and highlights the many years of Harman excellence. SKU: 1-90-999000-1 / 1-90-999000-14. Categories: Freestanding, Harman, Pellet Stoves, Stoves. 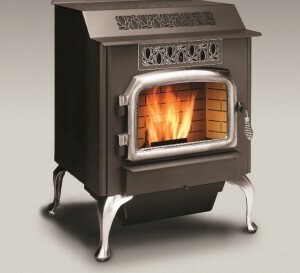 Tags: Absolute 63, Absolute63, Best in class pellet stove, best pellet stoves Wisconsin, Best Rated Pellet Stoves, Brand New Harman Pellet Stove, Cadillac pellet stove, Cast iron Pellet Stove, Cast Iron Pellet stoves, easy cleaning pellet stoves, easy to install pellet stoves, Harman Absolute, Harman Absolute 63, Harman Absolute63, harman cast iron stoves, Harman Pellet Stoves, Harman Stove, Harman Stove Company, Harman Stove Experts, Harman Stoves, Harman stoves Wisconsin, Harmen Absolute63, Harmen Wisconsin, Harmin Absolute63, Harmin Wisconsin, Harmon Absolute63, Harmon Wisconsin, high end pellet stove, High Heat Pellet Stove, highest efficiency pellet stoves, Large fire view pellet stoves, New Harman Stoves, Pellet Stove, Pellet Stoves, Pellet stoves on sale, Porcelain pellet stoves, Programmable pellet stoves, Top of the line pellet stoves, Top Wisconsin Harman Dealer. For those who seek sophistication in all areas of life, there is the Absolute63 pellet stove. It is unparalleled, only attaining the Harman name after achieving strict quality standards. Performance and engineering excellence are infused into every detail of the Absolute. From traditional styling and industry-leading heat, to its whisper-quiet operation and groundbreaking New Harman EASY touch control system, this is the new standard of greatness. The Absolute63 comes in two factory color choices; Matte Black and Porcelain Majolica Brown. Earth Sense offers high temp painting services- choose from over 15 colors! *Dimensions for product images are in inches. Refer to installation/owner’s manual for detailed specifications on installing this product. Hearth & Home Technologies reserves the right to update units periodically. Product installation must adhere strictly to instructions shipped with product. *Heat output will vary depending on the type of fuel used. The flame and ember appearance may vary based on the type of fuel burned and the venting configuration used. Actual product appearance, including flame may differ from image shown. Refer to the Owners Manual for complete clearance requirements and specifications. Product specifications and pricing subject to change without notice. For testing and listing information please refer to the owners/installation manual. *Heating capacity to be used as a guide only. See your local sales associate for help in determining the product that best suits your heating needs based on climate and home efficiency. Up to 3,400 sq ft.
2Please speak to one of our helpful representatives for assistance in determining the product that best suits your heating needs based on climate, home efficiency, location of the heater, and air movement in the room.